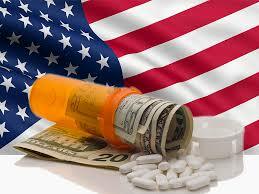 Why Are Our Prescription Drug Prices So High? On Wednesday’s show, we discuss with Constitutional Scholar and Chairman of the Cato Institute, Bob Levy, Supreme Court decisions since the New Deal – especially in the area of our economic liberties- that have paved the way for our economic liberty and a massive expansion of the U.S. government. “Josephus of Oz” author and Mercy College Professor Andrew Joppa and I discuss his latest column, “Unanswerable Questions,” which should concern all of us. We have an informative visit with author and Endowed Professor at the University of Houston Larry Bell about his new book, Reinventing Ourselves” and his latest “Newsmax” column, “Social Media Poses Real Cyber Dangers to Children”. We also visit with the President of “American Commitment” Phil Kerpen about drug pricing in the United States versus the pricing in other developed countries. We have terrific guests for Thursday’s show including the President on the Southwest Florida Jewish Historical Society, our State Representative Byron Donalds, the Founder and President of Less Government Seton Motley, and Naples Mayor Bill Barnett.